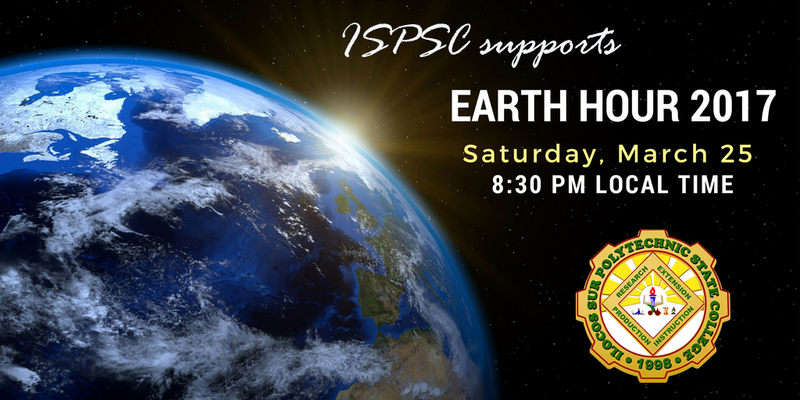 Once again ISPSC affirms its support to the Earth Hour advocacy. Anent to this, we encourage everyone to switch off or dim your non-essential lights, including streetlights, signages and key monuments, during this global 'lights out' event on Saturday, March 25, 2017 at 8:30pm for one hour. And pls.log-in and register support at the Earth Hour Pilipinas website via www.org.ph/earthhour.